The rates at which runners are injured is alarming. Many runners who are injured assume that is because of a lack of stretching or poor footwear. However, based on my clinical experience this is not the case. Also, many runners assume that they were injured because of poor form, lack of core strength, bad ankles or some other excuse that somebody may have told them throughout their life. The harsh truth is that running injuries should not occur, they are self-inflicted wounds. There are several different reasons why a runner will get injured or why they would have difficulty healing on their own. The purpose of this article is to provide insight into the various causes of chronic injury patterns and how to avoid this vicious trap. The key is to put your health above your fitness. Somebody can be fairly fit but extremely unhealthy. They may be able to win a 5k, but afterwards they are pounding ibuprofen, they can’t sleep, need 3 cups of coffee to get through the day, and are often dealing with one injury after another. In the following four sections, I discuss the main causes of why runners get injured and why they have difficulty healing. Many runners have heard of inflammation and they may know that any –itis condition such as Achilles Tendonitis or Plantar Fasciitis means that there is inflammation in that anatomical region. Many athletes may also think if they take some advil then they will be able to avoid all of these tendinitis type conditions because those medications will keep inflammation under control. This could not be further from the truth. In order to improve our exercise capacity our body needs to go through an adaptation process. Simply put, we need to stress our system enough in order for our body to make the appropriate changes. The process of breaking ourselves down and then building ourselves back up is really the key to improving our fitness. However, if you break yourself down too much you will make it too difficult to build yourself up back up again. 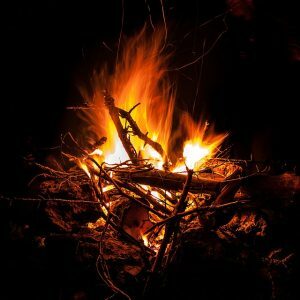 Inflammation is actually a key process in building our body back up from exercise. 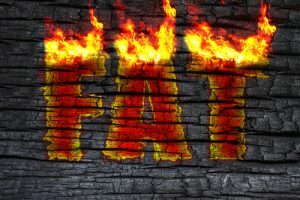 Inflammation gets a bad rap because most people associate inflammation with pain or chronic disease. Yet, inflammation is actually the healing process and without it we never heal from a cut, fight an infection, or improve our fitness. Runners must also realize that in order to improve they must embrace inflammation. This means that if you wake up sore the next day, the last thing you want to do is take ibuprofen so that you can make it through your next training run or race. By taking ibuprofen you will be inhibiting your body’s own natural healing process. Another key element in promoting healing within the body is consumption of Arachdionic Acid from grassfed meats, eggs, and dairy. Arachidonic acid often gets blamed as an inflammatory source in patient’s diets but this is not the case. The real dietary drivers of inflammation are too much intake of refined vegetable oils and high insulin (caused by too much carbohydrate intake). 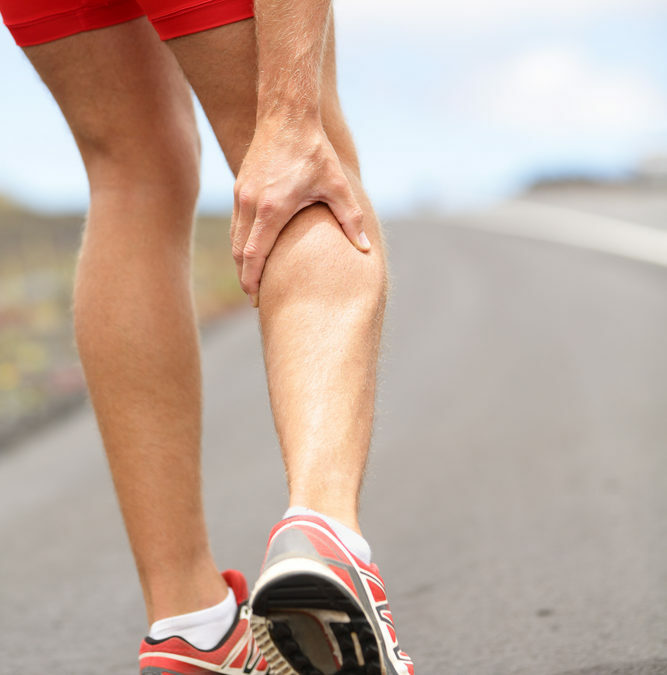 Running injuries will occur when the athlete is training or performing beyond their physical capacity. Many people can get very hung up on running form as to the cause of someone’s running injuries. Don’t get me wrong, form is important but give me the runner with bad form and an awesome engine over the runner with great form and a poor engine. Performing core exercises to turn on your glutes may be beneficial when rehabbing from an injury but that doesn’t mean when you are at mile 7 and your hip starts hurting it was because you didn’t perform your band exercises. Your muscles will continue to perform at a high level throughout a long training session if there is adequate fuel, blood supply, and hydration. For more detailed information on developing your fat burning engine please see the following articles. Hormone balance is key to avoiding and recovering from injuries. When people hear professional athletes discuss the advantage of taking banned substances they always reference that it helps them recover much more quickly. Now I am not suggesting that you start taking performance enhancers, but I will suggest a lifestyle that promotes proper hormone levels. For athletes, the most important hormone is Cortisol. Cortisol is so important because the body and brain will often sacrifice other hormones for the sake of preserving cortisol. Therefore, one of the main causes of low Testosterone, is because your body is too busy pumping out cortisol. The hormones Progesterone, Cortisol, Estrogen, and Testosterone, all come from the same precursor -> Cholesterol. But the body is wired in such a way that when we are stressed our body will prioritize pumping out cortisol over the other hormones. Cortisol will be elevated when the body is under stress. Exercise needs to be considered a stress, even though it is essential to a healthy lifestyle. The key is to exercise in a way that allows your body to adapt without becoming overly stressed. This means following the same key concepts discussed over and over again. Many people are aware of the importance of the thyroid, especially in Western New York, where thyroid disease is very prevalent. The thyroid is extremely important in improving your metabolism and maintaining fat burning, but one of the keys to optimizing the thyroid is to ensure that cortisol does not get too high. When the body is constantly pumping out cortisol, thyroid production will become inhibited, as a way for the body to start pumping your brakes. Eventually when an athlete has been under too much stress they will often burn themselves out and they go from a high cortisol to a low cortisol patient. Unfortunately, this is often when patients make their way into my office. When cortisol levels have become too low the patient will often have a lot of inflammation, have no energy, and are typically dealing with an injury or a decrease in performance. This is the chronically overtrained individual and it may take longer to bring that athlete back to their competitive level. I do not discuss form often when discussing running injuries because I feel the metabolism, systemic inflammation, and overall stress are much more important for avoiding injuries. However, this does not mean that form is not important. An athlete with great form makes running look easy, they are more efficient, and they require less energy than an athlete with poor form. Slight forward lean that is uniform from pelvis to the head. You do not want to be bent at the waist. The difficult thing about running form is that it is difficult to change. The fastest runners are the most relaxed runners, and if you are constantly thinking about your form you will not be relaxed. Therefore, you want to find a way to improve your form where you do not have to think much about it. One of the best ways to improve your form automatically is to run barefoot or with minimalist shoes. When someone runs barefoot, you will not over stride and you will notice how you instinctively get lighter on your feet. Muscle function is dependent upon nervous system function. Nervous system function is dependent upon the sensory signals sent into it from the environment. 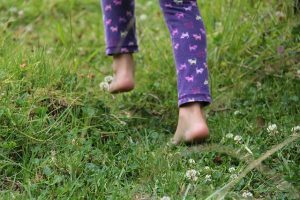 By running barefoot, you will maximize the sensory signals sent into your nervous system which will therefore maximize the information sent to the muscles throughout the body. Therefore by running barefoot, not only will you get lighter and strengthen your feet but you will also improve muscle function of your core, neck stabilizers, and other muscles in your body. Whenever possible be barefoot throughout your everyday life. No shoes in the house, if you can get away with it no shoes at work. Purchase minimalist style work shoes to help condition your foot throughout the day. Vivobarefoot makes stylish minimalist shoes appropriate for work. During training sessions, spend some time running barefoot. It could just be for a warm up or maybe you run .5 miles barefoot then put your regular shoes on, and then slowly increase the miles you run barefoot. Please keep in mind that this transition can take time and you really need to be receptive to your feet as you make this transition. Perform foot drills to strengthen the foot. Please understand that the foot is an amazing designed piece of machinery. Wearing bulky shoes and orthotics deconditions and hinders the use of this amazing machinery. It’s like taking an F1 race car and treating it like a Ford Tempo. Lastly, with regards to orthotics, nobody would ever recommend wearing a neck brace forever because they know that would decondition the muscles of the neck, yet that is what we are doing when we wear orthotics on our feet. Orthotics can definitely reduce pain on someone but you must remember that orthotics are supporting a dysfunction they are not fixing a dysfunction. In order to have a strong healthy foot, you must willing to ditch the support and work with someone willing to find the cause of the dysfunction.